Outfielder Dylan Cozens is one of the Phillies most underrated prospects. A pure athlete that can really drive the ball, the 21-year-old could have a very promising future as he matures on the diamond. At six feet six inches tall and weighing 235 pounds, Cozens has an imposing frame that was well-suited for the grid iron, as he was a two-sport star in his high school days. Already touting some significant power, the youngster sports some big time homer potential. 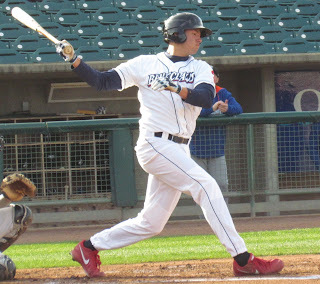 After he was selected in the 2nd round of the 2012 draft, Cozens debuted in the minors with the rookie level Gulf Coast Phillies. In 50 games there, he notched 15 doubles, two triples, five homers and 24 RBI. Cozens also participated in the Florida Instructional League in 2012. Following a productive spring in 2013, Cozens was retained in extended spring training and made his official season debut with the Class A short-season Williamsport Crosscutters when they began playing in June. Cozens was among the league leaders in many categories that year, placing second in doubles (19), extra base hits (30), and runs (50) while ranking third in slugging percentage (.469). Additionally, he batted .265 with two triples, nine home runs and 35 RBI in 68 games for the Cutters. 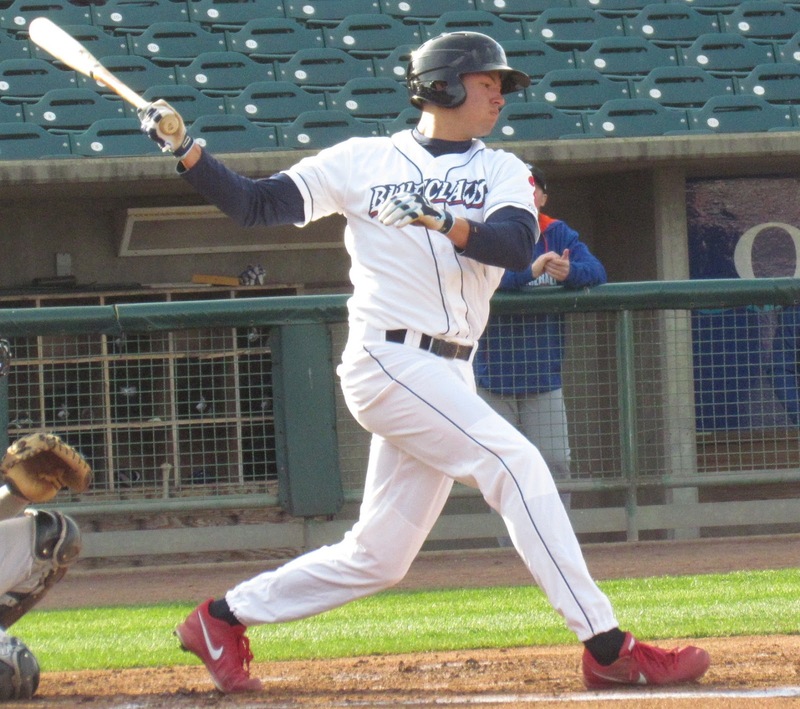 In 2014, with Class A Lakewood, Cozens had a solid campaign, posting a .248 average with 16 homers and 62 RBI. He followed that up with a great effort in the Australian Baseball League in the off-season that followed. In 45 games with Melbourne, he tallied a .255 average with eight home runs, 23 RBI and 11 steals. The 2015 season saw Cozens opening his year with the Class A Advanced Clearwater Threshers. In 96 games in the Florida State League, he sported a 282/.335/.411 slash line. Despite missing a month with a foot sprain, he earned a promotion to Double-A Reading late in the season and found the transition easy. He batted .350 with three homers and nine RBI in 11 regular season games before continuing to contribute into the Fightins’ postseason. Cozens was slated to spend time in the Arizona Fall League this off-season, but an arm injury prevented that from happening. Instead, once he was healthy, the strong lefty hitter joined the Indios in the Roberto Clemente League in Puerto Rico. In 26 regular season games there, he posted a .275 average with three home runs and nine RBI. A fluid swing and plus raw power potential for Cozens could catapult him to the highest levels of the sport. Some feel his ceiling is as a 4th outfielder or as a platoon hitter, but after proving that he already belonged at the Double-A level at the age of 21, it is not far-fetched to feel the right progress could land the Arizona native a shot at an everyday gig in the big leagues. On the bases, Cozens isn’t as slow as some might expect of a big-bodied masher type. He has proven to be a threat on the base paths, swiping 20 bags in 26 attempts last year. He sports a 75% success rate in steal attempts as a professional and should continue to contribute with his slept-on speed. Cozens, who has played a wide majority of his games in right field, has been praised for his adaptability and is a very capable fielder. He covers a very good amount of ground on defense and has a considerably strong arm in the outfield. With much organization depth in the outfield, an eventual positional switch to first base may ease his path to the big leagues. Look for Cozens, who turns 22 on May 31st, to have another go around with Reading in the Eastern League this year, where a full season would be best for his development. Follow this year’s full prospect countdown by clicking this link.